My sixty-second stadium of 2011 was on Wednesday 14th September 2011 at Cricklefields Stadium in Ilford, London. 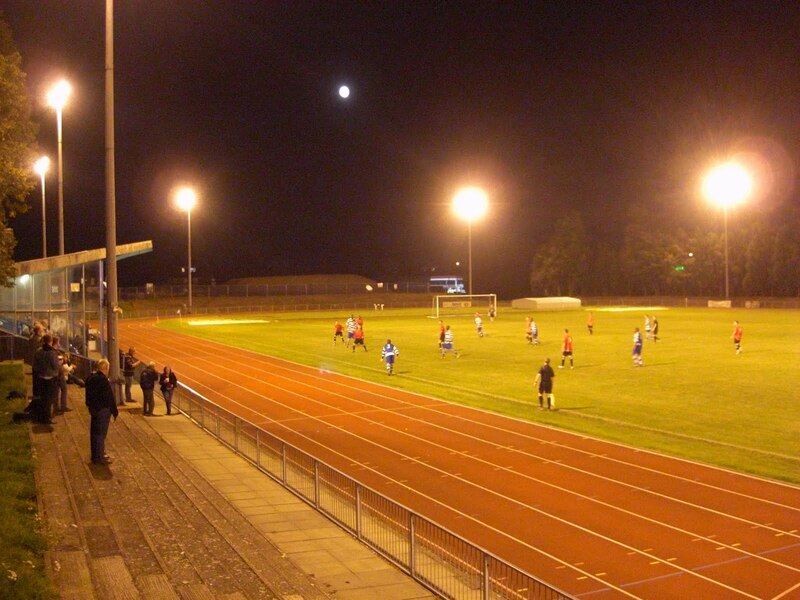 The match was Ilford vs. Chatham Town in Ryman Isthmian League Division One North. 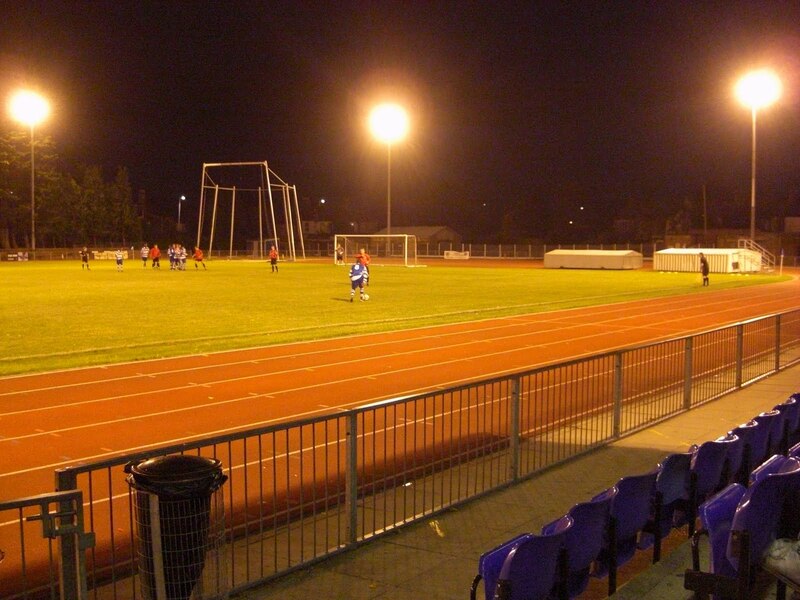 Crickefields Stadium is less than half a mile from Seven Kings railway station in a built-up area of north-east London. It has been home to Ilford since 1996. The ground was built as a multi-use stadium in 1923 with the football pitch surrounding by a running track for the local athletics club. Ilford moved into the ground in 1996 and since then have undertaken development work building a clubhouse and additional viewing areas. 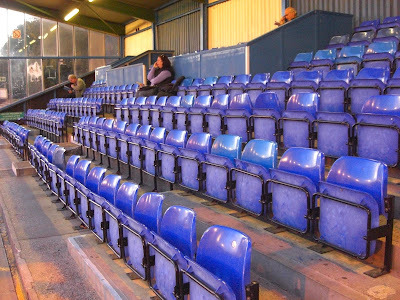 The venue's main stand is an all-seater structure level with the half-way line on the north side of the ground, which can hold 200 fans. The rest of this side of the ground is elevated concrete terracing which extends round to the area behind the goal on the east side of the ground. The west side of the stadium holds the team dugouts as well as a covered standing area, built in 2004. The remainder of the ground is general standing. The game was a pretty scrappy encounter with Chatham easily the better team on the night. The visitors should have opened the scoring on 3 minutes when they were presented with an open goal but contrived to hit the bar. However, they did get their goal after 16 minutes when Ilford failed to clear a corner and the ball was poked into the net from close range. Just past the half-hour mark the visitors had a great opportunity to extend their lead after being awarded a penalty but this was saved by the home keeper. In the second half Ilford were a little better but their sub-standard passing let them down and they never really looked like scoring as the game petered out to a 1-0 win for the away side.